Try out our mad range of bikes! Play along with our cycle challenge games. 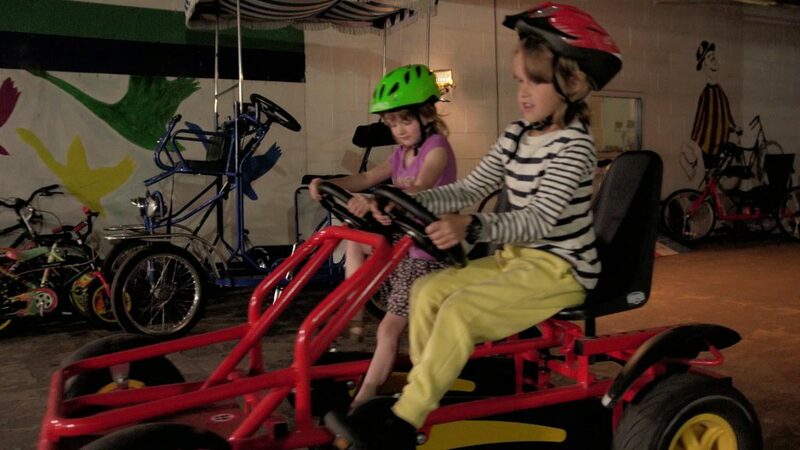 Straightforward fun – kids’ mess around on indoor track. Riding ability unimportant. Depending on your size, try tandems, reclining bikes, four-seater bikes and more. Jaeesha Ali, a DBS checked, qualified instructor will be present. Please note: All kids must be supervised by an adult and you remain responsible for their safety. The sessions last an hour and are just £4 (£2 per additional sibling) to be paid on the door. All Equipment Provided (including helmets). Indoors. Other ages welcome if closely supervised by parent/carer. Although qualified instructors are present, children must be capable of following safety instructions and parental supervision is still required. Contact Dave Robison 07743471764 or email info@capitalofcycling.org with any questions about the lessons.